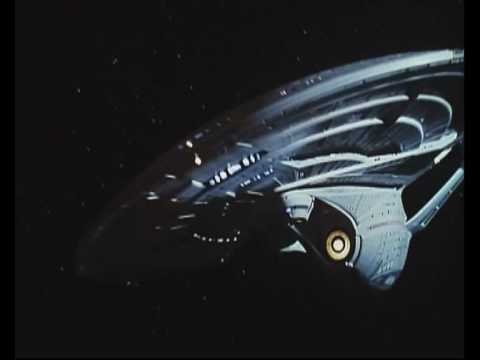 Star Trek: First Contact is the eighth feature film in the Star Trek science fiction franchise. It was released in late 1996 by Paramount Pictures. First Contact is the first picture in the series to exclusively feature the cast of the Star Trek: The Next Generation television series. After the mechanical Borg conquer Earth via changing the past, the crew of the USS Enterprise travel back in time to save their present and future. After the release of Star Trek Generations, Paramount tasked writers Brannon Braga and Ronald D. Moore with developing a sequel. Moore and Braga wanted to feature the Borg in the story, while producer Rick Berman wanted a story involving time travel; Braga and Moore combined the two ideas, moving the time period the Borg corrupted from the European Renaissance to the mid-21st century after worries that the approach would be too campy. Cast member Jonathan Frakes was chosen to direct. The film was given a $47 million budget, the largest allotted for a Star Trek film at the time. The script called for several new Starfleet ship designs, including a new USS Enterprise. Designer Herman Zimmerman and illustrator John Eaves created a sleeker ship than its predecessor. Many of the sets were completely new; filming began with weeks of location shooting in Arizona and California before moving to ship-based scenes. The Borg were redesigned to appear converted into machine beings from the inside-out; the new makeup sessions took four times as long as on the television series. Industrial Light & Magic rushed to complete all the effects in less than five months. The effects company manufactured the film's models, as well as using computer-generated imagery extensively for the opening space battle and other sequences. First Contact was the highest-grossing film on its opening weekend, and would go on to surpass Generations' ticket sales. The film made $146 million worldwide—more than any other Star Trek feature save The Voyage Home, until it was surpassed in 2009. Critical reaction was mostly positive, and Michael Westmore was nominated for the Academy Award for Makeup.